Smart phone based hub and spoke telestroke model was used (using Whatsapp) with tertiary care hospitals in Himachal Pradesh (with neurologists) as hub and district hospitals (without neurologists) as spokes. 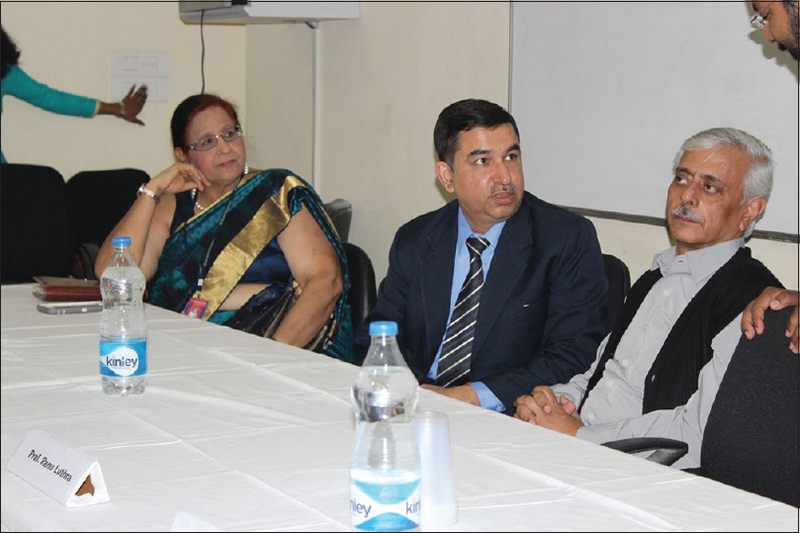 Medical officers in district hospitals were trained in the treatment of stroke. Tissue plasminogen activator was made available at all these centers, free of cost through hospital pharmacies. Neurologists at two tertiary care centers were made available for consultation on phone; 26 patients received thrombolysis under the telestroke project at district hospitals without onsite neurologist. Only two patients developed an intracranial bleed following thrombolysis, and both were nonfatal. This is the first telestroke model being reported from India. Use of a simple checklist can drastically lower the likelihood of heart failure patient readmission and improve quality of life. 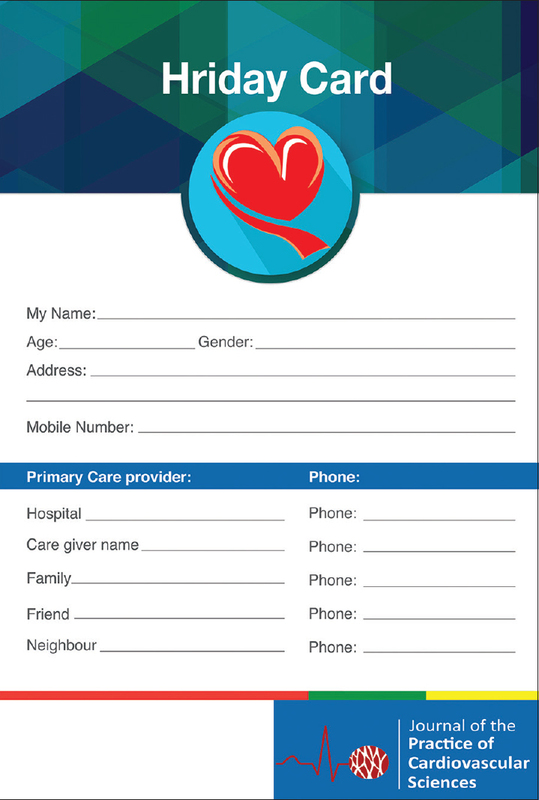 The Hriday Card is a simple 4 page booklet which combines patient education material teaching the patient about heart failure, how to tackle daily emergencies, how to look after their fluid balance with appropriate use of diuretics. It also contains medication and daily weight charts for the patient and a heart failure checklist for the heart failure nurse or doctor which covers points like vaccination, presence of LBBB or Atrial fibrillation and use or lack of use of ACE inhibitors and beta blockers and many other points related to heart failure. This checklist can be filled in less than a minute. It is a simple tool to enhance heart failure care and medication adherence. Adherence to a medication regimen is generally defined as the extent to which patients take medications as prescribed by their health care providers. Approximately 50% of patients do not take their medications as prescribed. Factors contributing to poor medication adherence include those that are related to patients (eg., suboptimal health literacy and lack of involvement in the treatment decision–making process), those that are related to physicians (eg., prescription of complex drug regimens, communication barriers, ineffective communication), and those that are related to health care systems (eg., limited access to care). Because barriers to medication adherence are complex and varied, solutions to improve adherence must be multifactorial. 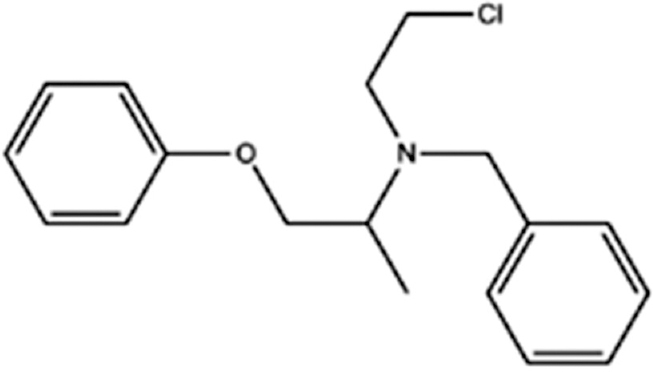 Phenoxybenzamine (PBZ) is an alpha adrenergic antagonist, used for the management of hypertension. PBZ acts by blocking alpha-adrenergic receptors, leading to vasodilatation and low systemic vascular resistance. This helps in control of blood pressure in pheochromocytoma, improvement of systemic oxygen delivery, and optimization of the Qp/Qs in pediatric cardiac surgery such as hypoplastic left heart syndrome and improving perfusion parameters during open heart surgery. 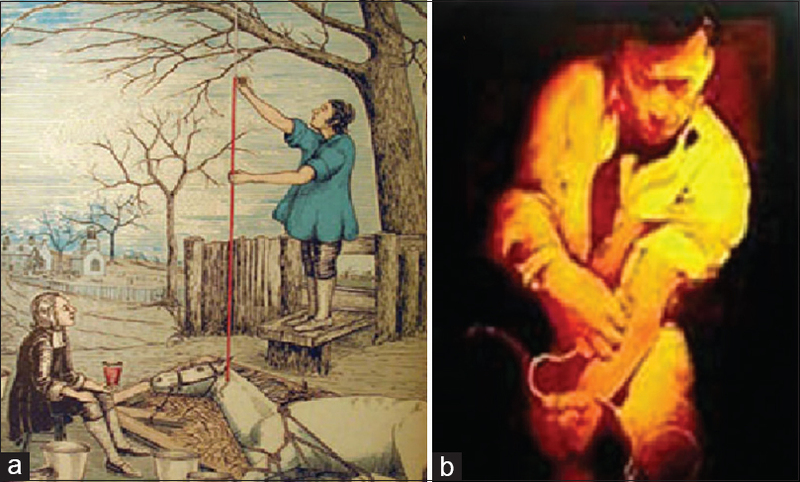 The uses have further extended to causalgia, Raynaud's phenomenon, autonomic hyperreflexia, and even for patency of radial artery conduit in coronary artery bypass grafting surgery. However, its prolonged hypotensive effect limits the regular use. In this review, we discussed the mechanism of action, pharmaco-physiology of PBZ, perioperative uses in different clinical setting and controversies for its uses; publications in different scientific journals from the previous years. In the first quarter of 2017, proprotein convertase subtilisin/kexin type 9's role got defined further with a number of trials such as FOURIER, ORION-1, and SPIRE 1 and 2. TAVI proves safe in intermediate-risk patients in the Surgical Replacement and Transcatheter Aortic Valve Implantation study. Newer anticoagulants extended their role to valvular heart disease. Bioabsorbable stent showed problems (ABSORB 2 and 3). New guidelines have been released for syncope and transcatheter aortic valve replacement implantation. Clinical outcome studies involving instantaneous wave-free ratio (IFR) showed IFR to be noninferior to fractional flow reserve. Optimal medical therapy proves noninferior to percutaneous coronary intervention in single vessel chronic total occlusion. Introduction: Angiotensin receptor blockers (ARBs) are emerging as an attractive first choice antihypertensive as recommended by various guidelines. However, choice among the first-line antihypertensive classes and among ARBs differs between practicing physicians. Aims: This survey aimed to understand the usage preferences of ARBs and its place in for treating hypertension (HTN) among physicians from various clinical settings in India. Methods: A cross-sectional survey was conducted with a prevalidated survey questionnaire consisting of 25 questions for HTN management. Practicing general physicians and cardiologists were approached for seeking their perception, opinions, and prescribing behavior. Results: Responses of 594 physicians and cardiologists were received. As opined by 90.1% of physicians, newly diagnosed HTN represented more than 10% of their overall patient load. 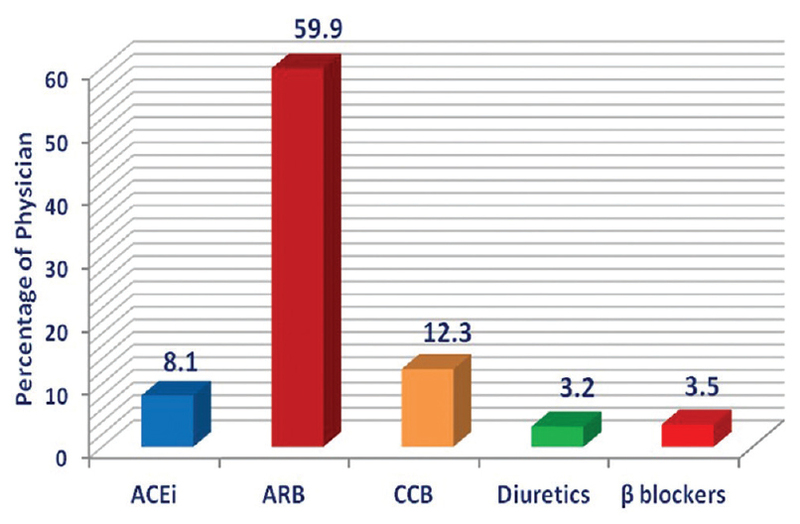 As a monotherapy, 59.9% of the physicians preferred ARB as the first choice in newly diagnosed HTN patients, followed by calcium channel blocker (12.3%) and angiotensin-converting-enzyme inhibitor (8.1%). Of all ARBs, telmisartan is preferred by 73% of physicians. Most physicians prefer telmisartan among all ARBs for 24 h blood pressure (BP) control, including morning BP surge (76.4%) and for prevention of cardiovascular morbidity and mortality (78.8%) followed by olmesartan and losartan. Predominantly, majority of physicians (89.1%) agreed for the beneficial role of telmisartan in preventing onset of microalbuminuria and nephropathy. Conclusion: Indian physicians prefer ARBs as the first choice in most hypertensive patients, which shows agreement with the guideline recommendations followed globally. Telmisartan has emerged as the most preferred ARB among all, for most of the HTN patients including those with comorbidities. 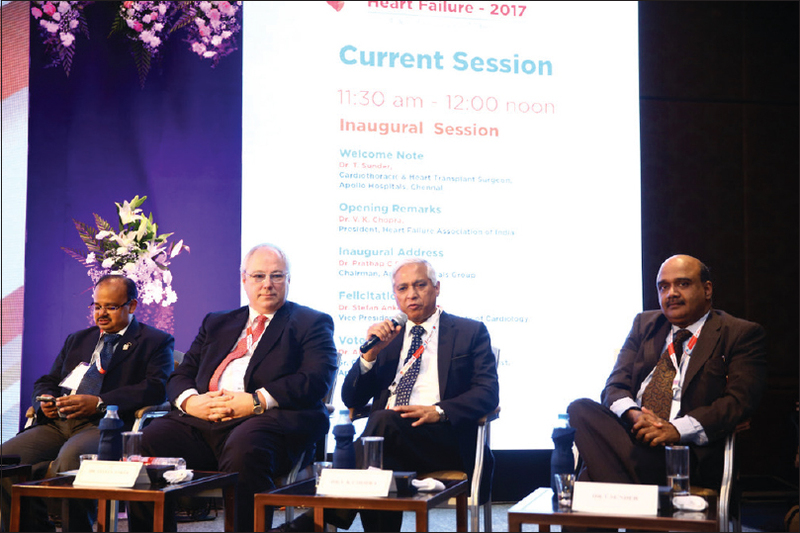 Introduction: The burden of cardiovascular disease is increasing in India. It is a chronic condition, and poor management can increase the risk and frequency of acute episodes resulting in poor quality of life (QOL), frequent hospital admissions, and mortality. Disease management programs can improve medication adherence and patient's QOL. Objective: The aim of this study is to assess the effectiveness of nurse-led home-based heart failure management program (HOME-N). 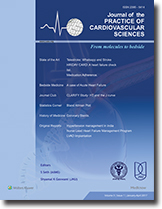 Materials and Methods: This randomized controlled trial was conducted among fifty outpatient heart failure (HF) patients visiting a tertiary care hospital. 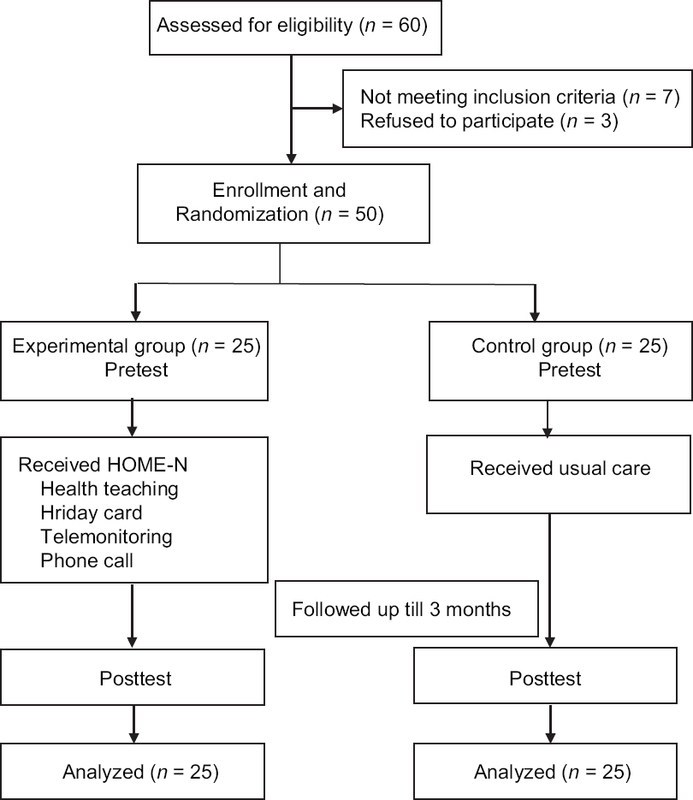 The control group received usual routine care, whereas the experimental group received HOME-N, which included formal health teaching, a HF checklist (Hriday card), telemonitoring of vital parameters (blood pressure, heart rate, and weight) weekly through a mobile application named as “Dhadkan” and telephonic follow-up for 3 months. Kansas City Cardiomyopathy Questionnaire (KCCQ) and adherence to refills and medications scale were used to assess QOL and drug adherence, respectively, in the study patients. The outcome measures were the QOL, drug compliance, hospitalization, and mortality rate. Results: At baseline, the demographic and morbidity profile, and QOL and drug compliance scores of both groups were comparable. After intervention, the QOL domain score of KCCQ as well as drug compliance improved significantly both within the experimental group (P = 0.001, P = 0.001) and as compared to control group (P = 0.001, P = 0.004, respectively). Conclusion: The HOME-N was significantly effective in improving QOL and drug compliance in HF patients. 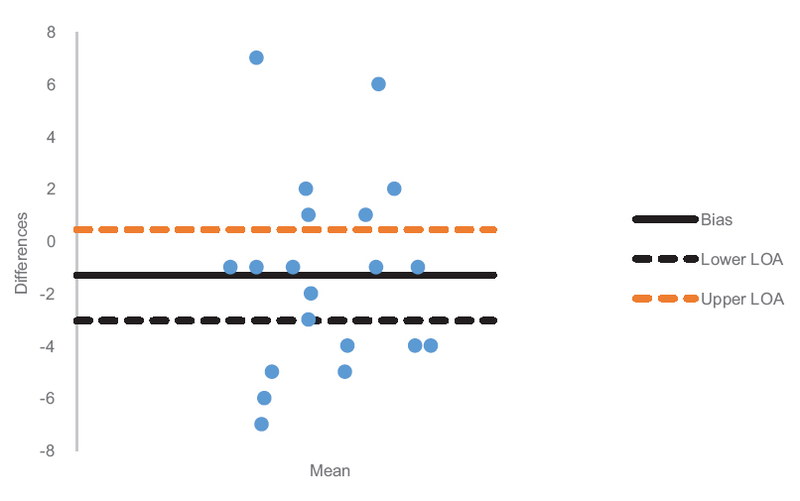 The Bland–Altman plot is a method for comparing two measurements of the same variable. The concept is that X-axis is the mean of your two measurements, and the Y-axis is the difference between the two measurements. The chart can then highlight anomalies, for example, if one method always gives too high a result, then all points are above or below the zero line. It can also reveal that one method overestimates high values and underestimates low values. If the points on the Bland–Altman plot are scattered all over the place, above and below zero, then it suggests that there is no consistent bias of one approach versus the other. It is, therefore, a good first step for two measurement techniques of a variable. Puel and Sigwart, in 1986, deployed the first coronary stent to act as a scaffold preventing vessel closure reducing the incidence of angiographic restenosis. The first stents were bare metal stents. The first drug-eluting stents to be approved were coated with paclitaxel or sirolimus. Since these stents came with a lot of promise but also with risk of thrombosis, the next step was biodegradable stents. These stents are expected to degrade into nontoxic byproducts. They came with a lot of fanfare but are now being viewed with caution because of initial poor results. We do not know what the future holds. 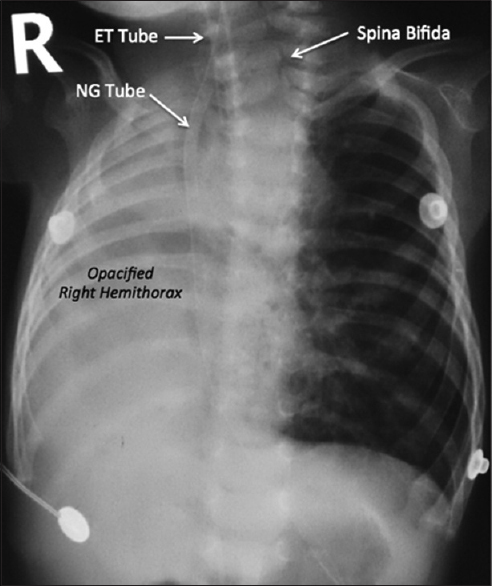 We report a case of an infant with respiratory distress and difficult intubation, who on multidetector computed tomography (MDCT) imaging was found to have an extremely rare combination of left pulmonary artery (LPA) sling and right lung agenesis (RLA). The complete right-sided mediastinal shift resulted in dextroposed, coronally placed, anteriorly crossing aortic arch causing posterior displacement and significant anterior compression of the trachea. The posterior tracheal displacement and stenosis made the intubation quite difficult and challenging in this patient. 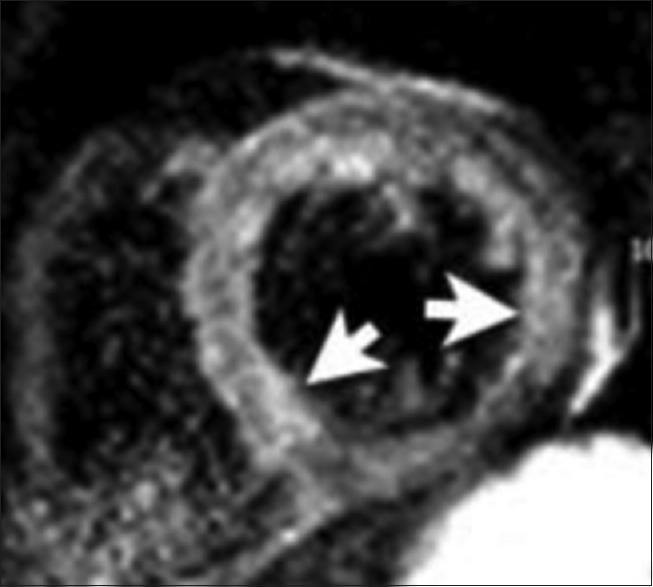 Cross-sectional imaging with computed tomography angiography has an edge over echocardiography and conventional pulmonary angiography in demonstrating the anomalous posterior course of an LPA in the presence of coexisting RLA. MDCT imaging plays a pivotal role in evaluating the structural anatomy and thus provides with pertinent information regarding the cause and the level of airway obstruction. Ventricular assist devices (VADs) serve as a bridge to heart transplant or destination therapy in end stage heart failure. HeartWare HVAD is a second generation, non pulsatile, magnetically levitated centrifugal pump, which is preload dependent and afterload sensitive. It has an inlet that is cored into the left ventricular wall and an outflow that is attached to a graft which is sutured into the ascending aorta. 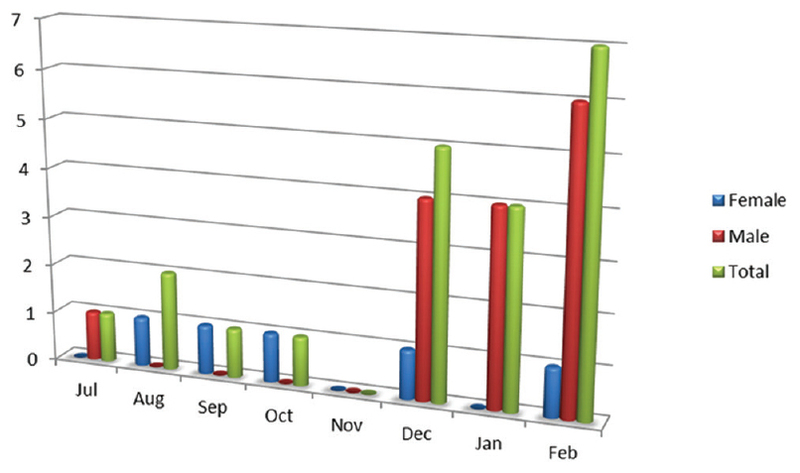 The Registry to Evaluate the HeartWare Left Ventricular Assist System (ReVOLVE) registry has reported a 2 year survival of 76% and 5 year survival of 59%. 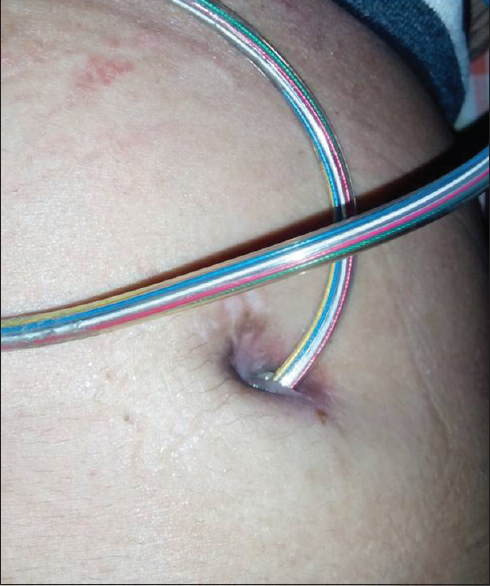 We present our experience of the first HeartWare 2 HVAD implanted at our institute.